*** Brand New *** Samsung Tab A 10.5 2018 SM-T590 with Charging Dock !!! 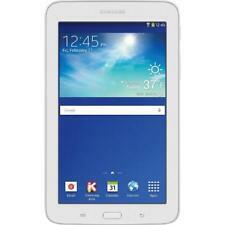 For sale is this Samsung Galaxy Note 2014 Edition SM-P607T 32GB, Wi-Fi Tablet. The tablet still works fine. The pen is missing for this tablet. Tablet only - no accessories. Trending at $131.65eBay determines this price through a machine learned model of the product's sale prices within the last 90 days. With Pogo Charging Doc. Pogo Charging Doc. Samsung Galaxy Tab A 10.5" 32GB Black SM-T590NZKZXAR. Samsung Galaxy Tab A (10.5") / 32GB. Enjoy Bigger (than US Ver.). Storage Space of Internal 32GB. We are not an authorized Samsung dealer and Samsung warranty may not be available. This product was imported and may include material differences from the Samsung products authorized for distribution in the United States. 3G: 2100/1900/850/900. LTE: 2100/1800/850/2600/900/800/2300. 7300mAh Super Battery. MicroSD slot up to 256GB. 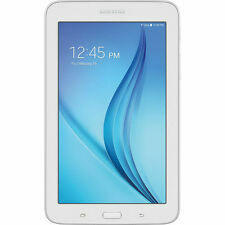 Samsung Galaxy Tab E 8.0 AT&T SM-T377A Tablet. Certain phones will require a sim card or an existing smartphone data plan. AT&T Cell Phones. Original Box. Get images that. Graphing Calculators. Pickup is not allowed, no exceptions. NEW Samsung Galaxy Tab E | 8" HD 16GB WiFi 4G LTE GSM UNLOCKED TABLET. 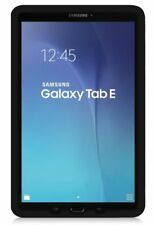 1 NEW other Samsung Galaxy Tab E - 8" - 16GB - Verizon. UNLOCKED for ALL GSM carriers. This is NOT a Phone, it is a Tablet. Storage Size : 16GB. Carrier : Verizon. Network Status : Locked to Verizon. We carry various types of electronics. We never have an ETA on what we get and it will be random when we get it. So buy it while you can! Battery Capacity: 5000 milliampere hours. Samsung - Galaxy Tab A 8.0" 32GB - Black. Samsung Galaxy Tab A 8.0" 32GB. 32GB internal storage. Expert Service. Unbeatable Price. Owner's manual. The right combination of fast performance and power efficiency. 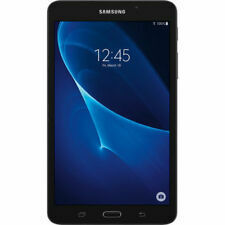 Samsung Galaxy Tab Active 2 - Wi-Fi - 16GB - 3GB RAM - BRAND NEW!!! Samsung Galaxy Tab S2. The Screen is 8.0", the hard drive is 32GB, the color is White. Standard Samsung Warranty (included). 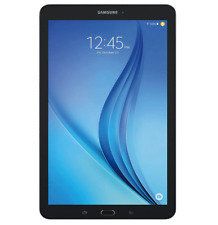 Refurbished Samsung Galaxy Tab E | 8" HD 16GB WiFi 4G LTE GSM UNLOCKED TABLET. UNLOCKED for ALL GSM carriers. 16GB internal storage plus microSD slot. This is NOT a Phone, it is a Tablet. 4G Bands - LTE band 2(1900), 3(1800), 4(1700/2100), 5(850), 7(2600), 12(700), 17(700), 30(2300). This warranty covers the unit for any manufacturer defects. WE ARE NOT ABLE TO STOP AN ORDER ONCE IT'S PLACED!